Runtime 1 hr. 38 min. SynopsisChris Meledandri and his acclaimed filmmaking team create an all-new comedy adventure featuring the return of (former?) 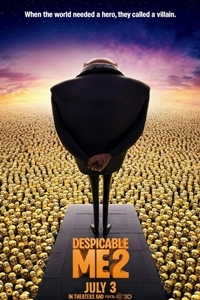 super-villain Gru (Steve Carell), his adorable girls, the unpredictably hilarious Minions...and a host of new characters.